Renovated village house with 3 bedrooms and garage. Character and charm ! Beautiful renovated home on 1840 m² of land with pool, stone outbuilding and gite. Charming villa with 100 m² of living space on 758 m² of land with pool and lovely views. Renovated villa with 163 m² of living space, in a quiet area, on 1021 m² with pool. Village house fully renovated with 115 m² of living space including 3 bedrooms and 3 bathrooms. Magalas may be small but its charms should not be underestimated. Built in a defensive circle known as a 'circulade village' (such villages are quite a feature of this region due to its turbulent history) and perched high on a hilltop, Magalas looks down on a corner of South West France that is rich in history and it makes a delightful base for exploring this fascinating region. The little town itself has no shortage of things to see and do and, despite its size, it boasts two restaurants and a Pizzeria, all of which come highly recommended! Magalas is set in the middle of the largest wine-producing region in France and has its own cave co-operative. Surrounded as it is by many hectares of vineyards, there can be no doubt that wine is a major part of the economy of the town. Wine tasting is available in local caves. There are two art galleries in Magalas, both worthy of a visit, and there is a fascinating bell ringing museum to see as well. In the summer months there are a variety of festivals to enjoy, including a beautiful procession of flower decked floats through the town. The tranquillity and charm of Magalas make it a delightful place to live or stay and its proximity to many other places of interest are a real bonus. The lively cities of Montpellier and Béziers are within easy reach, as are the beaches of the Mediterranean and the fairy tale city of Carcassonne. Barcelona is a mere three hours drive! Rugby Union fans can savour the unique atmosphere of Catalan sporting passion at Perpignan and almost all popular sports can be enjoyed close to Magalas. The history of Magalas is bound up inextricably in the story of the tragedy of the Cathars, emphasised by the circular shape of the town which is a common feature in the Languedoc, a region that was ravaged by the Catholic crusades against the perceived heresy of Catharism. The town has many ancient sights, including an eleventh century church, vestiges of ancient ramparts and castle ruins. Anyone wishing to travel to Magalas from the UK is spoilt for choice, as popular airline Ryanair fly into no less than four nearby airports! Nimes, Carcassonne, Perpignan and Montpellier are within easy reach and Barcelona is also accessible. Hire cars are readily available at reasonable prices, though if you are flying to a small airport like Carcassonne you should book these before you fly. Magalas is not a large town, so property availability within the town itself is obviously limited, although there are numerous possibilities to purchase property nearby. 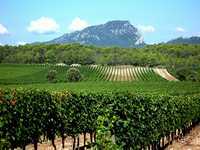 The Hérault is generally more expensive than other departments in Languedoc Roussillon, due to its supreme location on the Mediterranean, but is still considerably more affordable than the neighbouring Côte d'Azur. Do you know Magalas better than we do? Do you have photos of Magalas? Magalas is situated in the south-west of France, on the Mediterranean coastal plain, not far from Spain. In south of the Hérault (34) department in the Languedoc Roussillon. Access: Excellent air links to the UK. Direct flights with Ryanair to no less than four local airports: Perpignan, Montpellier,Carcassonne and Nîmes. 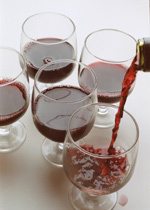 Economy: Wine, wine and more wine! Also tourism due to its enviable position, climate and historic charm. Interesting fact: Magalas is a mediaeval 'circulade' village, built in a circle in order to strengthen its defences against invaders.